No drugs for breaking Meningitis ‘C’ in Nigeria – FG – Royal Times of Nigeria. The Federal Government has said the ‘C’ type of meningitis currently breaking in Nigeria is “strange” and the country does not have drugs for it. The government also said there is a limited amount of doses of drugs Meningitis ‘C’ globally. The Chief Executive Officer/National Coordinator, Nigeria Centre for Disease Control, Dr. Chikwe Ihekweazu, made this known to the Senate Committee on Primary Health and Communicable Diseases in Abuja on Monday. Also, the Acting Director General, National Primary Health Care Development Agency, Dr. Emmanuel Odu, said the country needed about $1.1bn for the vaccination of 22 million persons in the five states affected by the Type ‘C’ cerebrospinal meningitis. He announced that each vaccine cost between $30 and $50, stating that the vaccine is expensive and scarce. He said, “It has now reached a total of 2,524 cases altogether, of which 131 have been confirmed to be bacterial meningitis and we have had 328 deaths. “It is important to note that the five most affected states are Zamfara – which is the epicentre of this specific outbreak and where is started; Sokoto, Katsina, Kebbi and Niger. These are where the burden of the disease are. We have, altogether, 16 states that have reported at least one case. But the five states are carrying the burden of the disease. “What is of importance to note in this specific outbreak is that Nigeria has had a series of meningitis outbreaks in over the past 30 years. It comes in cycles and affects, mostly, what we call the Meningitis Belt, which goes across West Africa including northern Nigeria. “However, three years ago, there was a broad, widespread vaccination campaign with a new vaccine – Meningitis ‘A’ vaccine – which wiped out the type of meningitis that used to come in the previous cycles. 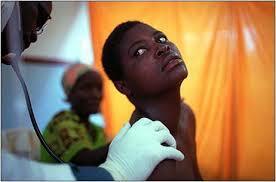 But what has happened (now) is really strange in Nigeria – Meningitis ‘C’. It is not new in the world but it is new in our context. The NCDC boss explained that when the outbreak in Zamfara State escalated six weeks ago, the centre sent a team of researchers to the state to collate and analyse data on the outbreak, which was sent to the World Health Organisation to secure a release of vaccines. “Those vaccines came in about two weeks ago and reactive vaccination campaign will start in Zamfara on Wednesday,” Ihekweazu added. He, however, lamented that Nigerians had yet to be treating meningitis as an emergency, saying the cases of infection were being reported when they had become worse. He stressed that there were global efforts on meningitis advocacy to procure technology to make vaccines for the disease.